A soldier patrols the road as the damage is assessed after Islamist group Al Shabaab hit a European Union armoured convoy in Mogadishu, Somalia October 1, 2018. American military airstrike has killed six Al-Shabaab terrorists in Braawe, Somalia, increasing the death toll to 33 since January 1. The US Africa Command said they targeted an Al-Shabaab encampment that served as a staging area for terrorists in the region. One vehicle was destroyed by the airstrike in the Wednesday incident. In a statement, the US said it’s committed to preventing the terror group from taking advantage of safe havens from which they can attack the people of Somalia. “In particular, the group uses portions of southern and central Somalia to plot and direct terror attacks, steal humanitarian aid, extort the local populace to fund its operations and shelter radical terrorists,” read part of the statement. On January 7, four other terrorists were killed in two US airstrikes in Baqdaad, Somalia. The airstrikes were launched in collective self-defence of Amisom personnel after they were engaged by the militants. On January 6, the US military killed six militants and destroyed one vehicle in an airstrike in Dheerow Sanle, Lower Shebelle Region, Somalia. On January 2, ten other terrorists were killed in a US airstrike in Dheerow Sanle. The US military said the airstrike was launched to diminish Al-Shabaab’s freedom of movement and increase pressure on the terrorist network. On January 1, KDF troops killed seven Al-Shabaab militants and wounded an unknown number in a gunfight in Tabda, southern Somalia. Nine AK-47 rifles, 10 magazines, two rocket propelled grenade launchers and three grenades were seized from the militants in the New Year clash. KDF said two soldiers sustained minor injuries during the intense gunfight on January 1 at about 11 am. On December 20, US military killed 11 militants in two airstrikes in Beled Amin South Somalia. 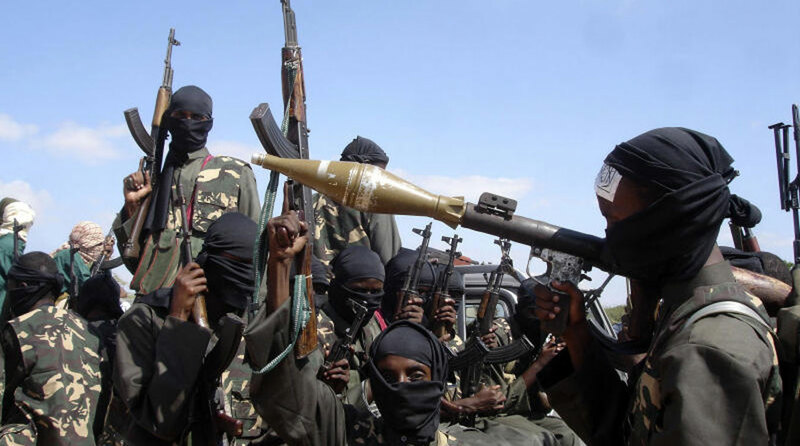 On December 17, US military said it killed 62 members of the Al-Shabab extremist group in Gandarshe area, Somalia. “All six airstrikes were conducted in close coordination with the Federal Government of Somalia and targeted a known Al-Shabaab encampment,” read part of the statement on December 17. This is in addition to eight others who had been killed in the same area on December 15.